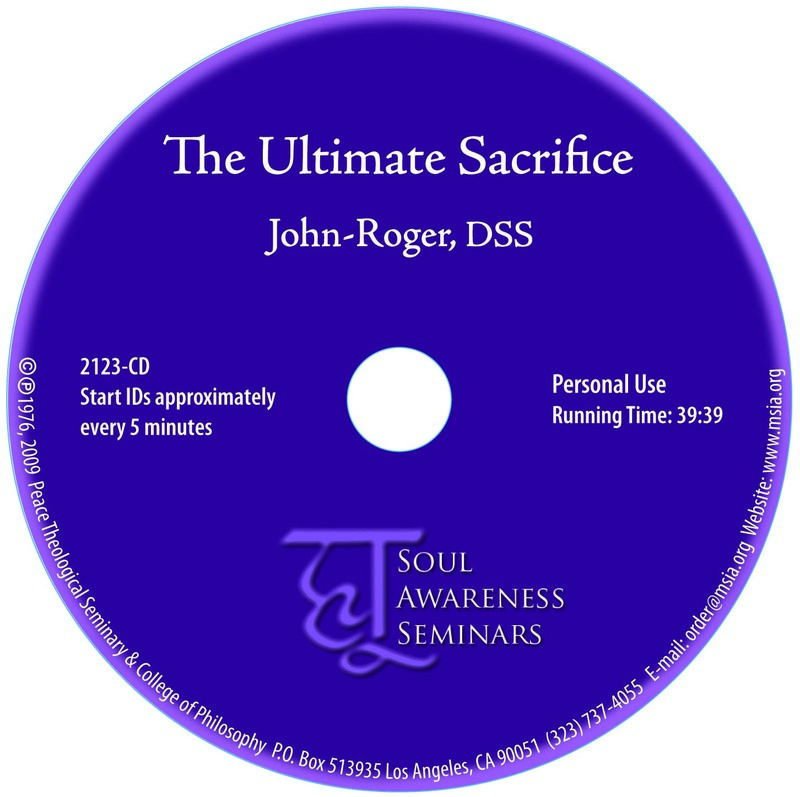 John-Roger starts this seminar with the observation, "There's so much pain in the world. But it can be taken away," he says. "It's just that people won't let it go." "Sometimes that pain needs to gather itself into one spot and erupt," he goes on, "like a cyst." And he continues that it may take a while to get all the negativity out but as it goes, the person is purified and healed. Another way to say this is that a person finally has to sacrifice their negativity in order to be healed.